Justin Shears will represent himself at trial when his case goes before a jury early next year. Shears is charged in connection with what police say was the pistol-whipping of a Lima man during a break-in last year at Marko’s sports bar on South Main Street. 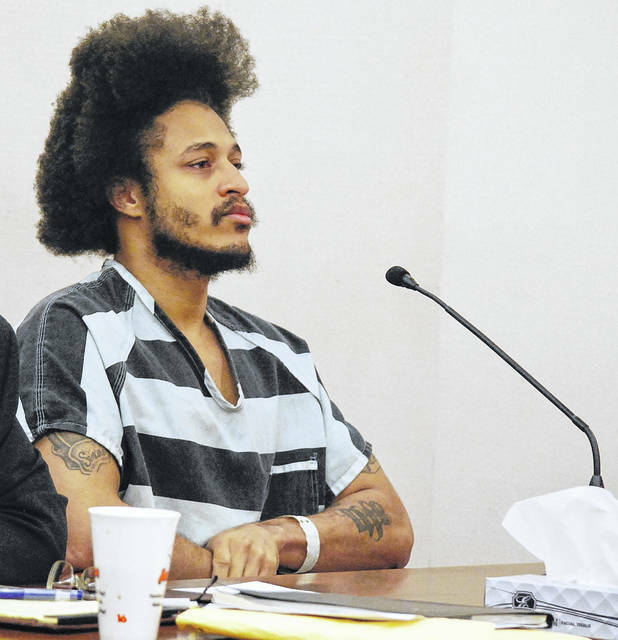 A motion by Justin Shears, 33, of Lima, to serve as his own attorney during an upcoming jury trial was granted Tuesday by Allen County Common Pleas Court Judge David Cheney. Shears in facing up to 28 years in prison on charges of aggravated assault, felonious assault and having weapons under disability. Two specifications for using a firearm during the commission of the crimes are included in the charges. Shears is pictured with attorney Greg Donohue. Judge David Cheney offered up that long-standing axiom in Allen County Common Pleas Court Tuesday in a last-ditch effort to discourage a Lima man facing up to 28 years in prison from serving as his own defense counsel. Cheney’s repeated pleas fell on deaf ears as Justin Shears elected to move toward trial as his own attorney. Shears, 33, is charged with aggravated robbery, aggravated assault and having a weapon under disability for allegedly pistol-whipping a man during a robbery at Marko’s sports bar on South Main Street in Lima on Sept. 20, 2017. Shears has been represented in recent hearings by public defender Greg Donohue after parting ways with his first court-appointed attorney, John Hopkins, earlier this year. Throughout Tuesday’s nearly hour-long hearing Cheney asked Shears a litany of questions pertaining to the defendant’s knowledge of the law and legal proceedings. Shears admitted he knew little about the legal process. The judge would make similar recommendations throughout the hearing, at times appearing impatient and aggravated with the defendant. “It is my opinion that a trained lawyer will represent you far better than you are able to defend yourself. I’m strongly urging you not to try and represent yourself,” he said. Shears was having none of it, steadfastly refusing to bow the the judge’s urging. He did agree to the appointment Donohue as a “shadow counsel” to assist at trial, which is scheduled to commence Jan. 12. Lima police officers were called to the Lima bar on Sept. 20, 2017, in response to the report of an alleged assault. Police found the victim, Hubert Hankison, who had sustained multiple wounds on his head after being pistol-whipped, according to court documents. Witnesses told police Shears approached Hankison and struck him in the back of the head with a revolver. Hankison fell to the pavement and Shears reportedly attempted to remove items from his pockets, witnesses said. 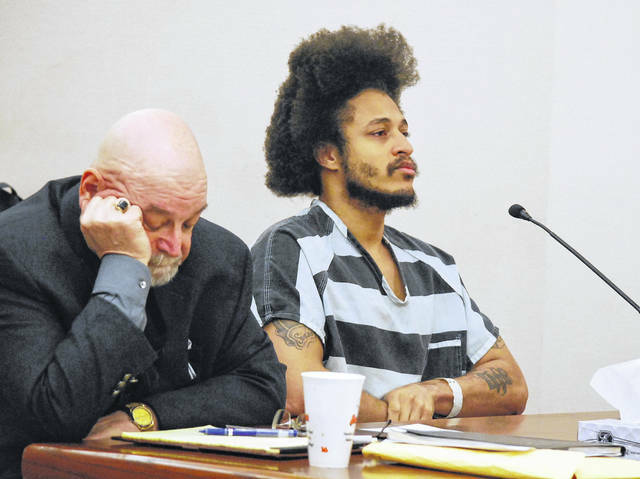 At the conclusion of Tuesday’s hearing, Assistant Prosecuting Attorney Kyle Thines put on the official record a plea offer that called for Shears to plead guilty to aggravated robbery with a three-year firearm specification and to the weapons under disability charge. The deal would cap Shears’ prison sentence at 15 years. Thines said the offer will remain on the table until Nov. 13. Reach J Swygart at 567-242-0464.